It’s that time of year my friends….NEW YEAR, NEW YOU, NEW RESOLUTIONS? 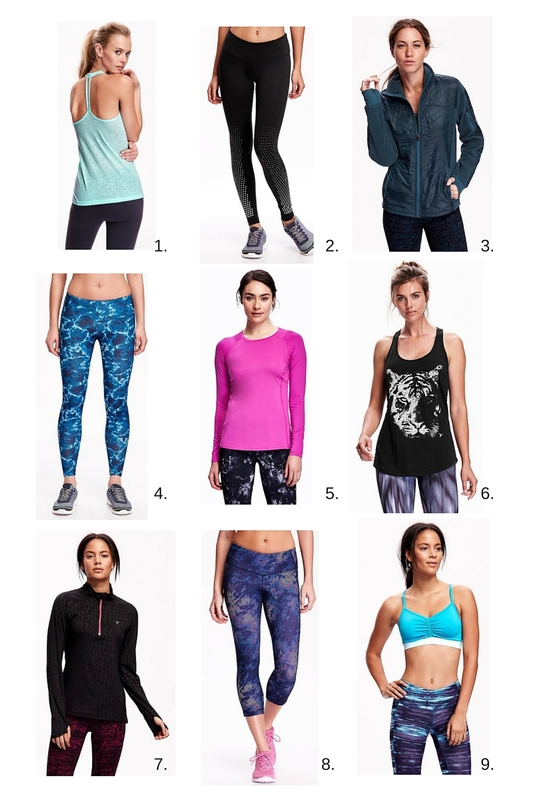 Or the same resolutions you have every year because you are always the same…Either way, if you are looking to get fit in 2016 or continue to go to the gym like you always have or simply just like to workout clothes because they are comfy, Old Navy has got a deal for you since all their active wear is 50% off! I’ve picked out my faves below! All of these items are under $35 right now. That’s kind of a maje steal!!! I’m really feeling that tiger tank…I might have to scoop that one up for myself. Don’t you worry though, this is not my last post about resolutions. I’ve got another BIG ONE coming. Also, stay tuned on Instagram because I’m participating in a MAJOR New Years Day Fitness Giveaway!!!!!!!!! You won’t want to miss it! Previous Post Appetizing: Ham Appetillas. Next Post 2016 Golden Globes Preview!